We don’t realize it, but our everyday lives rely heavily on optics. There are countless practical applications of optics that can be found in everyday equipment and various technologies. Examples of these are lenses, microscopes, mirrors and other related things. Thanks to scientists, engineers and inventors, we have some cool and wicked optical equipment that make our lives easier and better. It also helps us perform our task efficiently and lets us enjoy our hobbies accordingly. Let us look at some of the most popular application of optics that people generally use: Binoculars, Telescopes, Spotting Scope, Rifle Scope and Monoculars. By the way, cameras use lenses, so they are actually optical equipment too! If you want to read a specific section on this page, you can click on the topics from the Contents box below to go directly to the desired section on this page. 1 Welcome To Optics Castle! 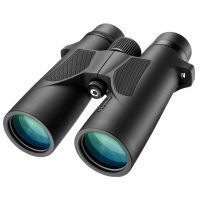 2.0.1 Barska X-Trail 15×70 Binocular – BIG on Quality, CHEAP on Price! 2.0.2 Barska X-Trail 8×42 Binocular – Great But CHEAP! 2.0.4 Barska Optics – Quality Optical Equipment But Not Pricey! 3.0.1 How Does A Binocular Work And Why Should You Use It? 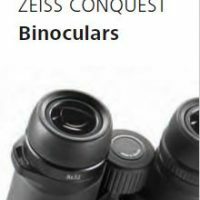 3.0.2 How To Choose The Right Pair of Binoculars? 4.0.1 How Do Telescopes Work? 4.0.2 What Telescope Should You Get? 5.0.1 What Is A Spotting Scope Good For? 5.0.2 What Is The Number Designation For Spotting Scopes? 6.0.1 What Do Rifle Scope Numbers Mean? 7.0.1 What Is A Monocular And What Is It Good For? 7.0.2 What Is The Number Designation In A Monocular Mean? Barska X-Trail 15×70 Binocular – BIG on Quality, CHEAP on Price! Barska X-Trail 8×42 Binocular – Great But CHEAP! Barska Optics – Quality Optical Equipment But Not Pricey! How Does A Binocular Work And Why Should You Use It? Binoculars are generally two telescopes combined together to suit each eye. It focuses light rays from far off so you can see remote objects more clearly. By using a binocular, you could stare at a wild or dangerous animal right in the eye while you are conveniently located from a safe distance. Binoculars are normally specified with two numbers, M x S, (M is for Magnification and S is for Size of objective lens in millimeters). If for example a binocular is 10×42, it means that you can magnify up to 10 times and the size of the front lenses is 42 millimeters. Now take note, the bigger the objective (front) lens, the brighter the object will appear. How To Choose The Right Pair of Binoculars? If you are wondering and asking yourself what binoculars do I need? Or what binoculars should I buy? Or what binoculars should I get? The answer to these questions really depends on what you will use your binoculars for. Choosing the right one or the best one is dependent on the activity you shall be undertaking plus of course, how much you are willing to pay for a unit will always be a factor. Don’t worry, we shall be talking more on this in the coming articles. You can get really high-quality binoculars in the range of five hundred dollars. 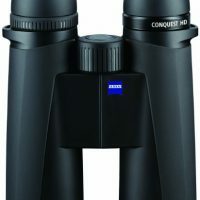 If you have that kind of budget, you can check out this article – binoculars less than $500 – to give you an idea. 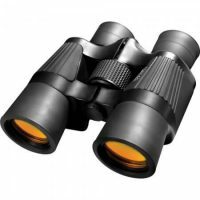 Or, if you’re really tight on money and wanted to go for those priced under 200, read this – binoculars less than $200 – and get acquainted with some popular ones that are light on the wallet. Quality binoculars need not mean to be too expensive. Read this article – Alpen Binoculars – to find out how you can have a binocular with outstanding quality and yet priced competitively. 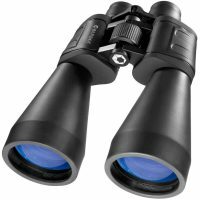 If you’re into hunting, which is a great hobby by the way, Steiner Predators are highly recommended as these binoculars are designed for that purpose. 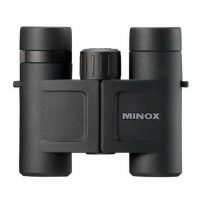 Minox is also another great brand when it comes to binoculars. Check out our article in this link -> to learn more about Minox binoculars. The principle behind it is the same as other optics. Focusing the light and applying some combination of lenses enable you to see something at a distance. There are two types of telescopes; refracting and reflecting. Refracting telescopes use convex lenses while the reflecting ones use mirrors. The most commonly used and probably most people are familiar with is of the refraction type. Telescopes are usually used to look at things that are really far like planets, stars, nebulas and galaxies. Astronomy, astrophotography and stargazing are the most common applications that telescopes are used for. What Telescope Should You Get? Again, it depends on what you really want to see or look at. Telescopes capability varies but do not get overwhelmed by the technical design or specification. The suitability for particular uses should be put first into perspective when you’re planning to buy one. If you’re a newbie and serious about your astronomy, a great telescope that can grow with you as you discover the night sky is the Celestron NexStar 8SE. It is great for new users but have features that lets you explore other aspects of astronomy as you become more experienced with it. What Is A Spotting Scope Good For? Basically, a spotting scope is a small version of a telescope. The image produced from this type of optical equipment is always upright unlike a telescope that produces a reverse or an upside down image. 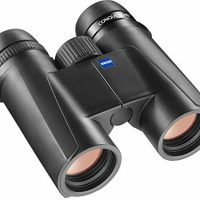 It has a lower magnification capability compare to a telescope but offers a higher magnification compare to a conventional binocular that is why it is often used to view sceneries and birds. What Is The Number Designation For Spotting Scopes? Spotting scopes are commonly designated with 3 numbers A-BxC. The number A-Bx is the zoom magnification range while C is the size or diameter of front lens. For example, if a model says 20-60×60, the magnification range is from 20 to 60 and the front lens diameter is 60mm. Rifle scope works like a telescope. It magnifies your vision which makes it easier to aim at a pretty distant target. Rifle scopes have a reticle (or crosshair). These markers show the shooter exactly where the shot will go once the trigger is pulled. It makes hunting and target-shooting easier! Here’s the thing; a hunter with a poor scope will have trouble hitting targets even if he’s using a very good rifle so make sure that you have a decent one paired with your rifle. For the most common AR-15 platform rifles, the Nikon P-223 3×32 BDC riflescope is pretty popular for users and comes highly recommended. What Do Rifle Scope Numbers Mean? The number on a rifle scope is usually labelled A-BxC. A-Bx is the power or magnification capability. If you have 2 numbers before the x, it means that the rifle scope has variable magnification whilst one number means a fixed magnification. The last number is the size of the front (objective) lens in millimeters. For example, if you have a 3-9×40 rifle scope configuration, the magnification would be 3-9x and the objective lens diameter is 40. What Is A Monocular And What Is It Good For? A monocular is similar (but not as powerful) to a telescope or spotting scope in the sense that you use it with one eye. Size-wise, monoculars are compact and easily fits into your pocket so it is really easy to handle. If a spotting scope, binocular or a telescope is too big to carry along, monocular would be the best alternative. What Is The Number Designation In A Monocular Mean? Monoculars are normally designated by AxB numbers. A would be the magnifation and B is the diameter of the objective lens in millimeters. An 8×42 monocular means the unit has 8x magnification and front lens size is 42 mm. With all the many activities that people are doing even during night time or when there is very low light condition, night vision scopes have been developed to satisfy this requirement. Although scopes with night vision capability have been specially developed for military use, the application of which is not solely dedicated to them. During the late 90’s, night-vision capable scopes started getting popular in the commercial market for hunters, campers and farmers alike. With more people doing night-time activities, night vision scopes is now being innovatively used in more applications than what they were initially intended for. For night vision optics, there are different methods of image intensification and are classified as “Generations”. Generation 1 or Gen 1 is the basic and gives you a pretty good performance at a really reasonable cost while the more advanced Gen 4 provides an extremely excellent performance but the cost would be absolutely higher than Gen 1. We have a great review here for some of the highly rated night vision monoculars in the market – check it out! Star Trek's famous holodeck is a virtual reality stage that simulates any object in 3-D as if they were real. However, 3-D holographic projection has never been realized. A team of scientists from Bilkent University, Turkey, has now demonstrated the first realistic 3-D holograms that can be viewed from any angle. NASA's new Transiting Exoplanet Survey Satellite (TESS) is designed to ferret out habitable exoplanets, but with hundreds of thousands of sunlike and smaller stars in its camera views, which of those stars could host planets like our own? A team of astronomers has identified the most promising targets for this search. © 2019 Optics Castle. All rights reserved.